A new tree was planted on Tuesday, Feb. 28 in Biscuit Acres. 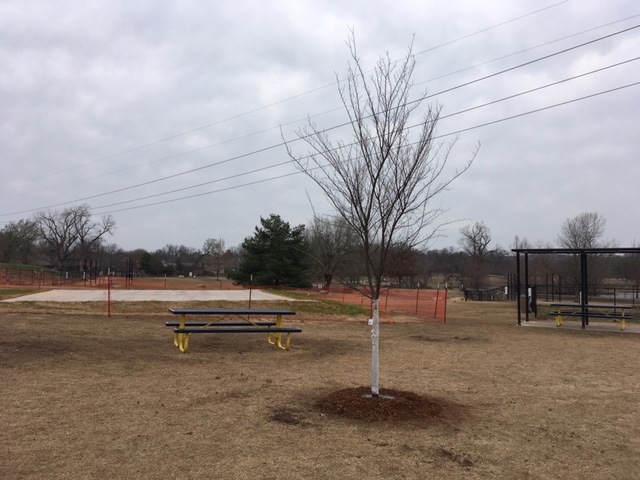 The tree is a Laced Bark Elm and is planted in honor of the Rotary Club of Southside Tulsa who raised private donations 8 years ago to build Biscuit Acres. An in ground recognition plaque will be placed next to the tree in the Club’s honor. The Elm was purchased with the park’s visitor donations to BAVA in the red deposit boxes. 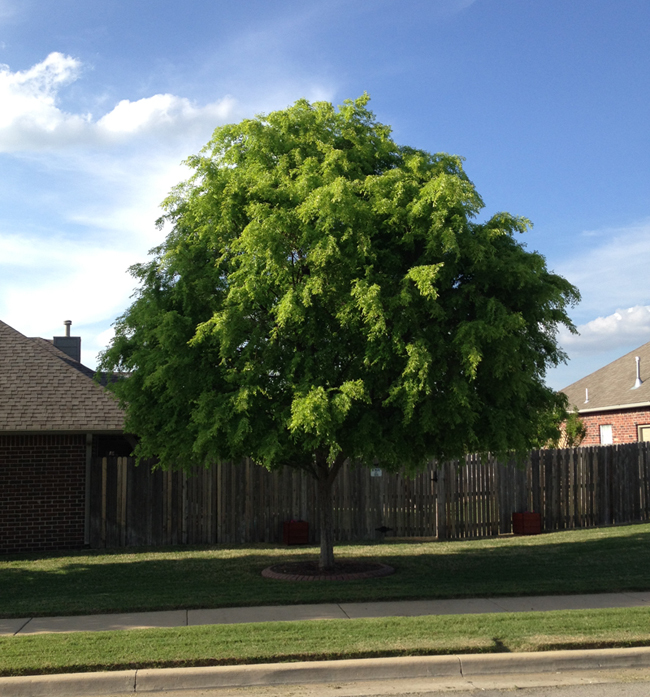 Below is a picture of the newly planted tree and a 7 year old mature version.